Home » How to Edit 4K Video with Davinci Resolve with Smooth Workflow? How to Edit 4K Video with Davinci Resolve with Smooth Workflow? I have a powerful laptop with an i7 Quad Core CPU, 16GB RAM and an nVidia 860 graphics card. My machine plays native 4K video clips fine recorded on my iPhone 6s. But in Resolve 12 they stutter badly and also after rendering stutter badly again. Tried Best and High MPEG settings and also .h264. Is this a known issue? Grateful for any advice. 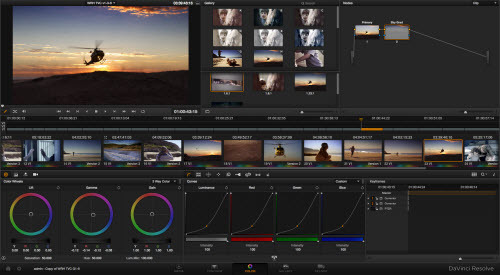 From Davinci Resolve official website, we get the information that the newest Davinci Resolve 12.5 only supports to import UHD video which means the 4K footage must be shot with a resolution of 3840x2160. If you try to load a 4K video footage with the resolution of 4096 x 2160, you will definitely suffer video playack choppy/jerky/choppy issues. To fix this resolution incompatible issue, it would be idea for you to perform a resolution downscaling process. Here, a simple to use and workable program called Pavtube HD Video Converter for Mac (best Mac HD Video Converter review) is highly recommended to you. 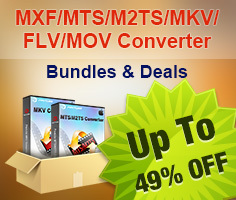 The program not only assists you to compress 4K to UHD or compress 4K to 1080p for smooth editing workflow with Davinci Resolve, but also does you a great favor to transcode unsupported 4K formats to Davinci Resolve supported file formats such as QuickTime, Prores or DNxHD codec. Before loading 4K video into Davinci Resolve, you can do some simple video editing with the program's built-in video editing functions. 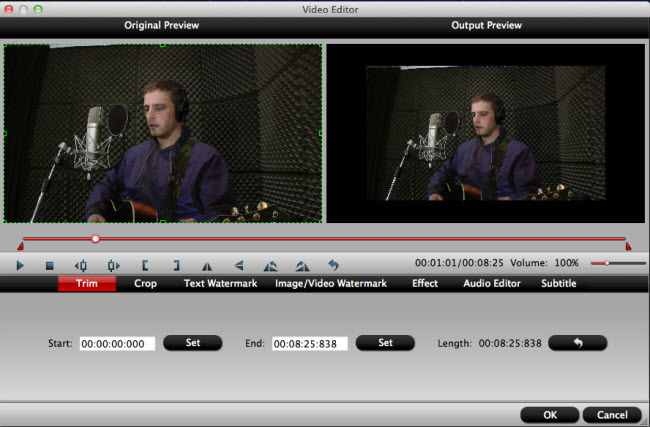 You can trim or cut off video to remove unwanted parts or segments, split large video into small clips by file size, count or length, merge separate video into one, Crop video to remove unwanted black edges or unwanted area. For editing 4K video on Windows platform, just download the Windows version - Pavtube HD Video Converter. Step 1: Load 4K video into the program. Open the program, click "File" menu, from its drop-down option, select "Add Video/Audio" to load 4K video to the program. 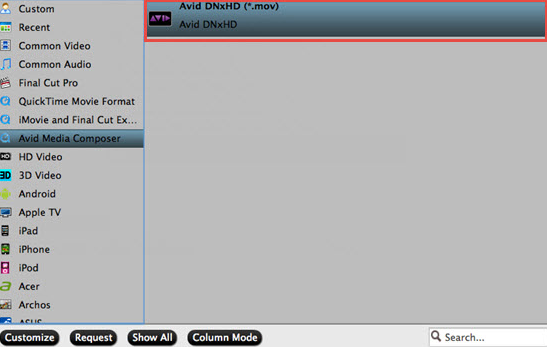 Click "Format" bar, from its drop-down list, select Davinci Resolve best supported editing codec such as "Avid DNxHD (*.mov)" from "Avid Media Composer" main category menu extended list. Step 3: Compress 4K to UHD or 1080p. Click "Settings" to open the "Profile Settings" window, here you can change the output file resolution as "3840*2160" or "1920*1080" for smooth editing workflow with Davinci Resolve. Step 4: Edit video. (Optional). After all the settings are done, click right-bottom "Convert" button to begin to convert and compress 4K video to Davinci Resolve compatible UHD/1080p resolution with the codec of DNxHD. When the conversion is completed, you will have no problem to import video to Davinci Resolve for smooth post video editing workflow.